Confession time: I have more than one passion. 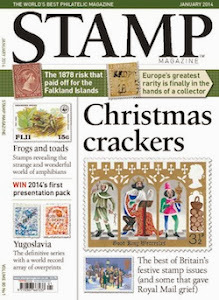 Which seems hardly possible seeing the amount of time per day I spend on stamps, but still, it is true. I'm quite partial to the music of Kate Bush. I know, I know, that puts me even more obviously in the category of Severely Deranged, but what can a man do? Luckily I am normally able to keep the two well apart, but lately I've found the two mixing more and more. I suppose I should be lucky that that hasn't happened before. 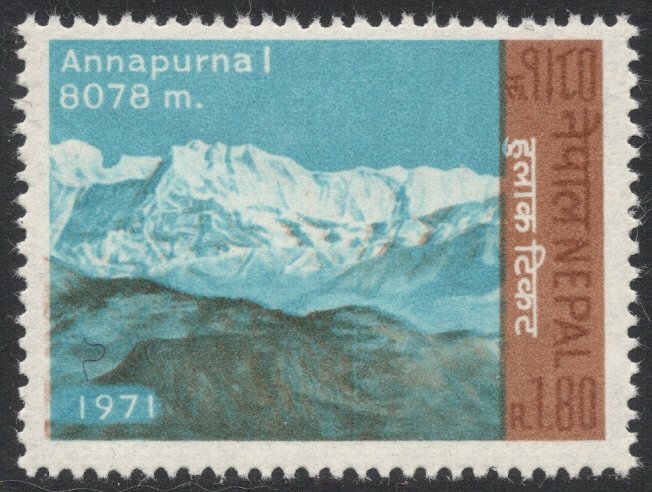 After all, there's many subjects in the lady's songs which could have sparked off a thematic stamp collection. Wuthering Heights, Aborigines and the Vietnam War are but a few that spring to mind immediately. But so far I have never felt the urge to act upon any such possibilities. I'm afraid the lady's just released some new work, late last year, and it was heralded in with a song called Wild Man. A song about abominable snowmen of all things. And ever since I've managed to unscramble the lyrics, I have this undeniable urge to get the stamps in as well. Now ideally, I'd given you the lyrics with accompanying stamps, but I don't want to run into any copyright problems, so I'll just cope without. So, the abominable snowman, or yeti, or metoh-kangmi as the Tibetans call them, is one of the last remaining myseries of the world. 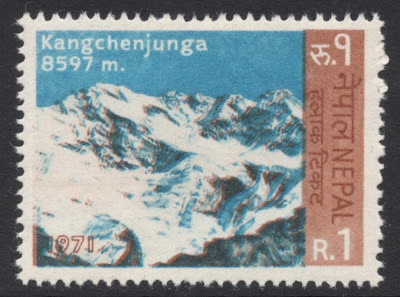 They have appeared in the Kangchengjunga and Annapurna mountains of the Himalays since time immemorial. 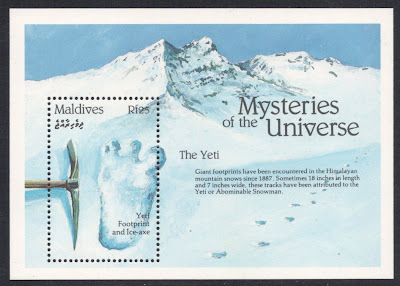 The bulk of sightings actually consist of footprints being seen, rather than the yeti itself. But proper sightings have also been recorded. Many sherpas claim to see the yetis quite often and describe the two types of yeti that seem to be around; a large and small type. A schoolmaster from Darjeeling has also once clarified that there are two types of yeti: not all are dangerous, some are friendly and just like to play in the snow. Many of Himalayas' explorers also state to have seen yetis: some claim to have seen him on the mountains, tearing up rhododendrons. 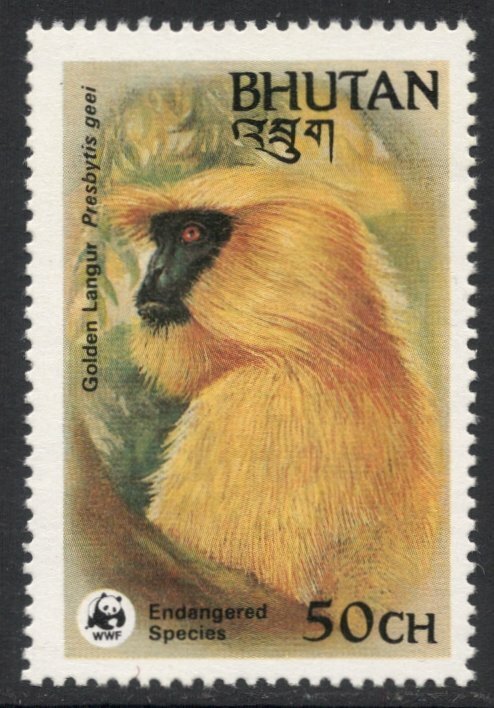 Sceptics say yetis don't exist, and that people will have probably just seen langur monkeys, or big brown bears. But the lamas say the yeti is not an animal, but a being superior to humans. 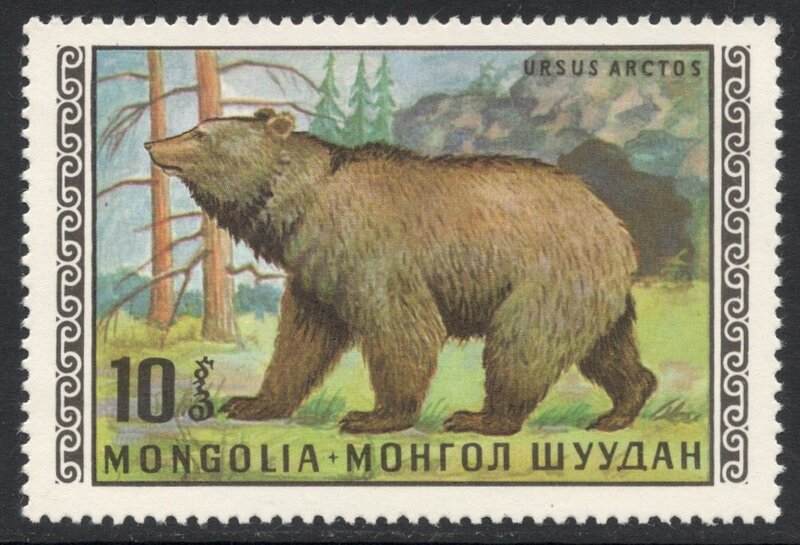 Living on the roof of the world, they have no time for mankind's feuds and greed, but are solely focused on survival. 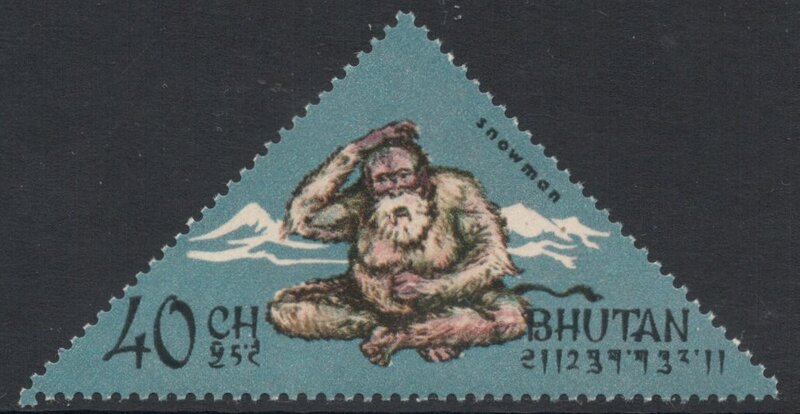 The idea of the song is that the yeti is actually quite a lonely, sad figure, being haunted by man and by modern times. 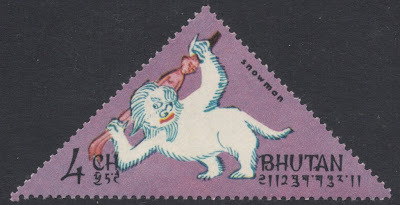 While brushing away the yeti's footprints, the song warns the yeti to run away and hide, to remain a mystery. After all, what would the world be without its mysteries? PS: Want to know more? Read the full lyrics here. Blimey! And here's me thinking I'd be the only one in the world collecting yetis! Although I must say that i think your top stamp isn't a proper stamp. 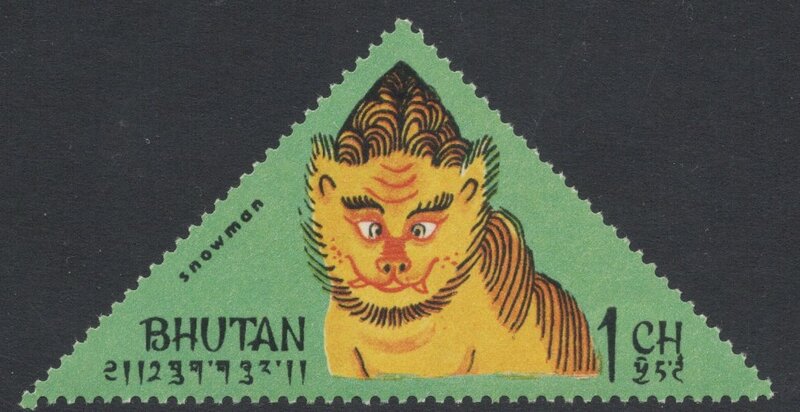 I like the last one from Bhutan very much. 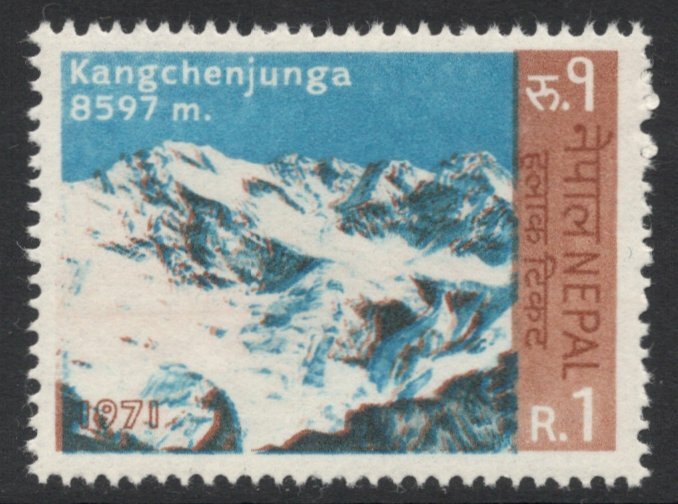 Any idea when that was issued? 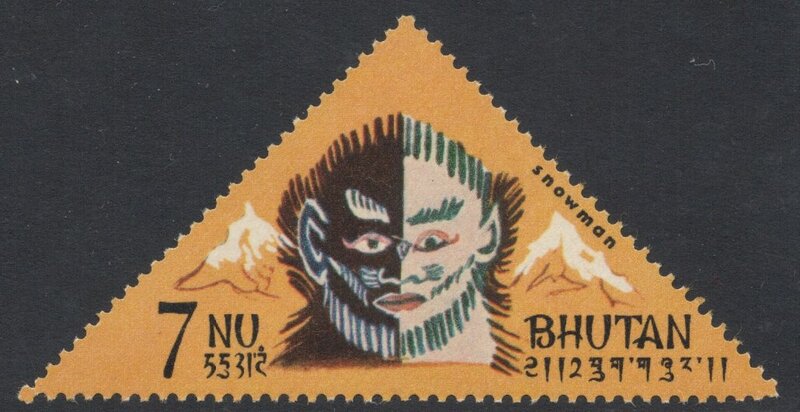 The first stamp in my blog is a plastic one with a 3D effect and was released in 1970. 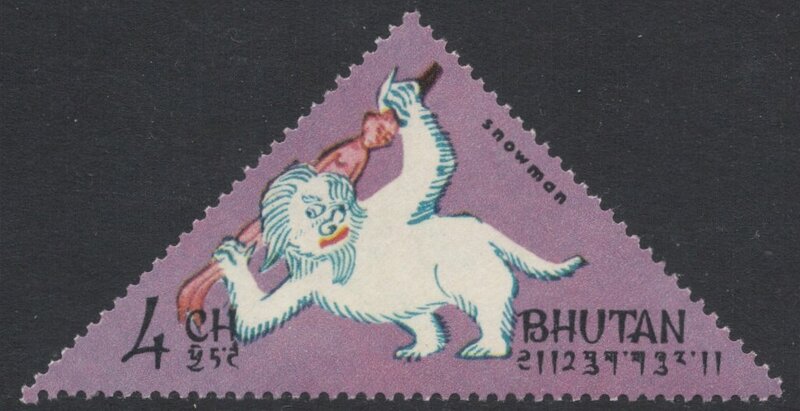 The Canada stamp is from 1990 and the Bhutan one with the notation of "Abominable snowman" is from 1996. Ah yes, found it. 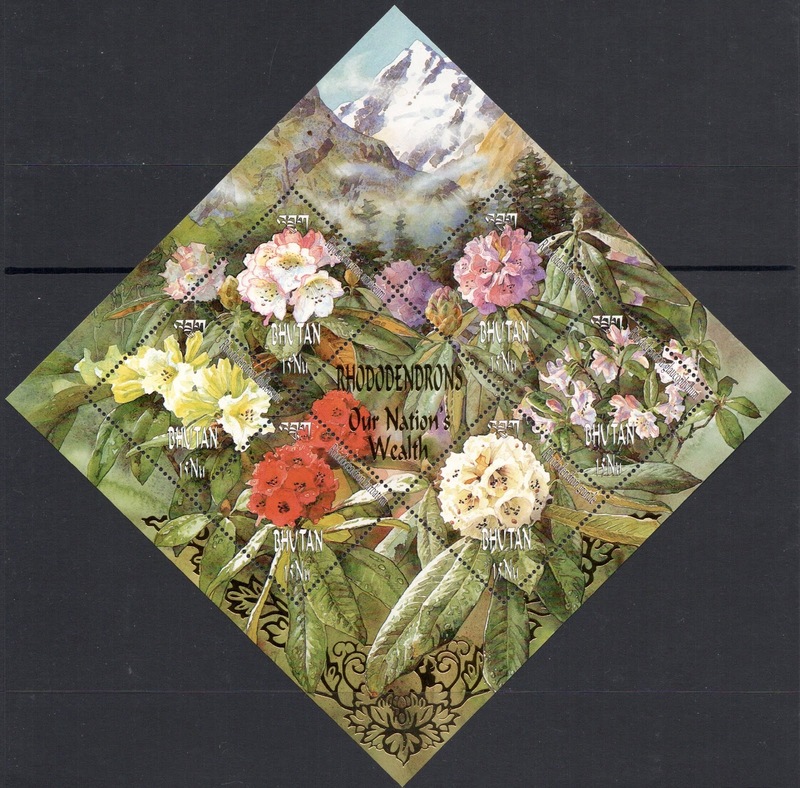 Stanley Gibbons doesn't list these, but Michel does! Thanks for the info.